The National Museum is fortunate in having one of the richest collections of Indian coins in the world. Not only is the number an amazing one but the varieties represented, the number of rare coins, the clarity of legends, figures and symbols on each one of them, are all indeed specially noteworthy. As an example can be given a magnificent Sassanian coins series which forms the Parrukh collection, that was specially studied and classified by the original owner of the series, from whom this was acquired by the National Museum, along with a detailed manuscript of an almost completed catalogue, with only the scholarly introduction to be added, which was made available with the original coins as more than a classified list. The Bayana hoard of coins accidentally discovered so long ago as in 1946 by cowherds in a field in the village of Hullanpur near the town of Bayana in the former Bharatpur State, is almost a landmark in the history of Gupta coinage, as it contains a large number of unique issues in addition to varieties already known. Except a few of the rarest, a very small group of rare coins was got together and made available to the nation by its presentation to the then just started National Museum through Dr. Rajendra Prasad, the then President of India. The National Museum cannot be sufficiently grateful to the Maharaja of Bharatpur for this invaluable gift of rare coins of the Bayana hoard. The Couch type of Chandragupta II, the Apratigha type, the Elephant-Rider type, the Lion-Trampler type, the Rhinoceros-Slayer type, the Asvamedha type, the Lyrist type, all of Kurnaragupta, are among the rare types. 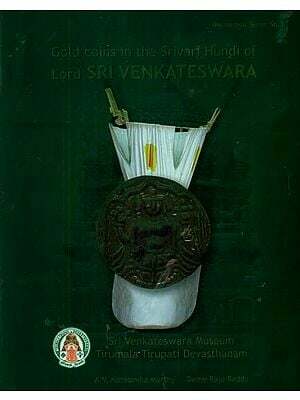 It is hoped that the rarest coin of this series, the Chakravikrama, which is still with the Maharaja would one day be graciously presented by him to the National Museum, as he had years ago assured me. The National Museum is now commencing a programme of producing a number of important catalogues to describe the rich treasures of each category of art objects in the Museum. In the Numismatic section the first catalogue taken up is of the Gupta gold coins, and this would be followed up by other Gupta coins and, subsequently, by other varieties of coins, in convenient batches, according to dynasty, date and geographical distribution. It is the National Museum’s rare good fortune to have this catalogue prepared by Dr. Bahadur Ch and Chhabra, the eminent epigraphist, who was for years in Ootacamund before he came over to Delhi as Deputy Director General of Archaeology, whence, later, he became Joint Director General. With his lifelong experience in Epigraphy and Numismatics, Dr. Chhabra had taken up for study the most important collection of gold coins in the National Museum. He has been on it for some years now, and we are happy that the fruit of his intense study and research is now available to supplement and further the knowledge on Gupta coinage, that has been made available to the world, through the famous books of Dr. John Allan and Dr. A.S. Altekar, supplemented by several individual articles by scholars, who have discussed various problems on the coinage and chronology of the Gupta sovereigns. Dr. Chhabra has made several suggestions to unravel some of the knotty problems in Gupta chronology and attribution of coins, the significance of the coins themselves, the importance of their legends, the import of their figures and symbols, their relationship with Gupta inscriptions and so forth. I have no words to express my gratitude to Dr. Chhabra for making it possible for the National Museum to bring out the fruit of his research in Gupta coinage, as the very first catalogue to be issued from any section of the National Museum. I am sure this will be welcomed by scholars from all over the world as an important contribution in the field of Numismatics. Scope And Arrangement-The present volume comprises a Catalogue of Gold Coins pertaining to some rulers of the Gupta dynasty, forming one of the coin-collections of the National Museum at New Delhi. This collection consists of 618 coins. They are all from the Bayana Hoard. Some of them were purchased for the National Museum while the others were presented to it. They pertain to five of the Gupta monarchs as detailed below. All the 618 coins have been illustrated in their proper order, both obverse and reverse. This is perhaps a novel or peculiar feature of the present Catalogue. Otherwise it is modelled as far as possible, on John Allan’s well-known Catalogue of the Gupta Dynasties and of Sasarika, King of Gauda, British Museum, London, 1914. The arrangement followed by us in describing the coins is as follows: the first line contains the serial number of the coin described, the acquisition as given in the Acquisition Register of the Museum, then the weight of the coin in gms. (grammes), followed by its size in French millimetres. An alphabetic order is followed in arranging the different types of the coins. In designating the types we have followed the usage adopted by the earlier writers for obvious reasons, e.g. King-and-Queen Type, Standard Type, Lion-Combatant Type, Lion-Slayer Type, Lion-Trampler Type, etc., even though there is reason for improvement and revision in some cases, such as Standard, Apratigha, etc. We shall have occasion to comment on these in their proper places. History and Chronology-The Gupta period is reputed to be the Golden Age of the Ancient History of India. It is indeed so, both literally and figuratively. No other period has yielded so many hoards of gold coins as the Gupta period has. This is an evidence of prosperity in general of that time. And it is again during this period that all the fine arts reached their climax, practised all over and patronised most liberally. Even the coins under study bear witness to this, through their artistic designs and poetic legends. The dynastic history of the Gupta rulers, on the other hand, bristles with enigmas and riddles, as we shall presently see. Recent discoveries and researches have no doubt shed welcome light on some of them, yet for the most part their history remains obscure. We give below a bare outline of the Gupta history and chronology, as we understand it, as background of our Catalogue. Detailed discussions over controversial points may be found in the various history books, quite a few of which have been published in recent time, everyone of them claiming to be an improvement upon the others. For our purpose, we shall steer clear of the current controversies as far as possible.